Knopf Books for Young Readers, 9780375870774, 352pp. When Jeanne Birdsall was young, she promised herself she’d be a writer someday—so that she could write books for children to discover and enjoy, just as she did at her local library. She is the author of The Penderwicks, which won the National Book Award for Young People’s Literature, The Penderwicks on Gardam Street, and The Penderwicks at Point Mouette. Jeanne lives in Northampton, Massachusetts, with her husband and an assortment of animals, including a dog named Cagney. 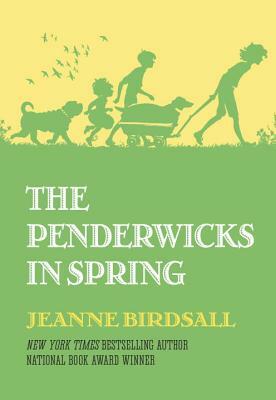 You can find out more about Jeanne, her books, and her animal friends at JeanneBirdsall.com.